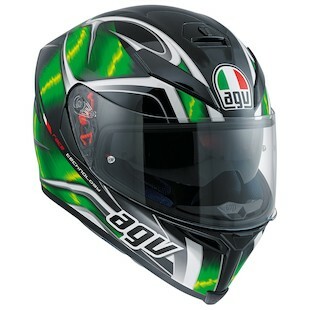 New to the American market, the AGV K5 helmet will undoubtedly be one to make some noise. After years in Europe, where it was so popular it practically flew off of the shelves, it will soon be seen tearing up the streets here in the States. With precise specifications, plush features, and premium performance capabilities, it is a helmet of which to take note moving into 2016. Also, AGV knocked it out of the park with their new graphics. 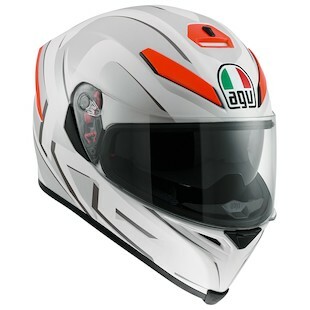 Arriving with the fury of an un-quelled storm, the AGV K5 Hurricane Helmet is aptly named. Drawing inspiration from one of nature's most powerful phenomenon, the Hurricane graphic is a testament to the aesthetic capabilities of the artists at AGV. From the high-contrast of the colorways to the depth of perception that is cultivated throughout, this is without question one of the most noteworthy graphics within the release. Choose from Blue, Green, Red, or Grey for your flavor of nature’s fury and take to the streets in a style that is on par with your own internal hurricane. The AGV K5 Diapason is cause for a grand attention and an explosion of harmony between you and your motorcycle. So much so in fact, that word on the street is that Webster’s is considering changing the definition of the word entirely! Originally geared towards the music field, “diapason” will soon be put in its rightful place as a word meaning “amazingly stylish motorcycle helmet that combines the technical specificity of the AGV K5 with a fast, exciting, and totally thrill-seeking helmet graphic.” Or something like that. Eh, ok, so maybe The K5 Diapason isn’t going to change the English language just yet, but it certainly can do work for you on the road, and after all, that is the part that matters anyway. 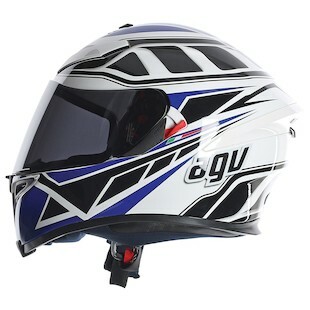 In case you are the king of rider to look in the mirror and be like, “self, who is the rider that keeps getting on my motorcycle every day and riding to all of the places that I like to go?”, the new AGV K5 has a graphical helmet for You. Literally. The AGV K5 You one of the newest helmets that are coming to the American market and it combines a graphical assortment of color and line that is as diverse as are you. Long story short, the new AGV K5 helmet is a beast. Seriously. Italian craftsmanship and style on full display. As it comes to America for the first time, the newest graphical offerings to accompany it serve to augment its release and provide riders with the all-important choice to best suit their preferences.